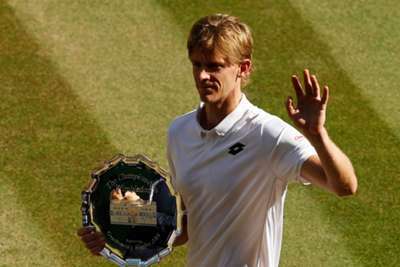 Kevin Anderson admitted nerves stopped him playing his best tennis from the start of the Wimbledon final against Novak Djokovic. Eighth seed Anderson spent close to 11 hours on court in his two previous matches, five-set victories over Roger Federer and John Isner in the quarter-finals and last four respectively. The South African's major final debut came at last year's US Open when he was beaten in straight sets by Rafael Nadal, and he lamented being unable to use that experience to his advantage. "It was a tough start for me. You always have high hopes. Going into the match, I was hoping to draw on some previous experiences, playing at the US Open in the finals, obviously playing Federer a couple days ago," said Anderson, whose total time on court at the All England Club this year was greater than 21 hours prior to Sunday's meeting. "I didn't really find my form the way I wanted to. Of course, my body didn't feel great. I don't think you're going to expect it to feel great this deep into a tournament when you've played so much tennis. "But I was definitely quite nervous starting out the match." Anderson failed to convert any of the five set points that came his way in the third and Djokovic took full advantage by completing a 6-2 6-2 7-6 (7-3) triumph. "In the third set, I was able to actually pick it up a little bit. I would have loved to have gone to a fourth set," he said. "I don't know how I would have felt as the match progressed. Novak is very tough to match physically. "I think even when I played Federer going down two sets to love, I felt I found my form much quicker. "I felt I played really good tennis [in the third set against Djokovic]. I definitely had more opportunities than he did." Djokovic's triumph brought his first major title in over two years – his 13th overall – and Anderson expects the Serbian to continue challenging, having overcome a persistent elbow injury and a crisis of confidence. "I'm not surprised that he's been able to come back. He obviously is such a high-quality player. 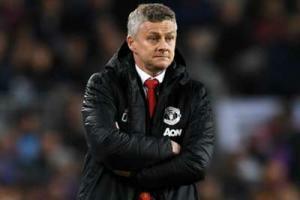 Playing him today, you can definitely see the improvements he's made since coming back from injury," said the runner-up. "I think his match with Nadal was a big exclamation point. I think he struggled with his serve coming back after the elbow … the serve was there today, how quick he was hitting it. "If you look at the year he's had before he was injured, it was one of the most dominating years of all time. If he can match that, it would be an amazing effort. I don't think that's a fair benchmark to set anybody. "I think guys at the top can expect to see him on the other side of the net quite frequently."